There’s something about wearing a beautiful, tailored coat in a luxe fabric that makes a girl stand a little straighter and taller. Which is why I’m in love with this carefully constructed, super-flattering, Sillin Inc. jacquard trench. Here, I’ve paired it with cropped trousers; tomorrow, a pencil skirt or cocktail dress. This day-to-evening statement coat defines my outfit and takes outerwear style to a whole new, dress-to-impress level. 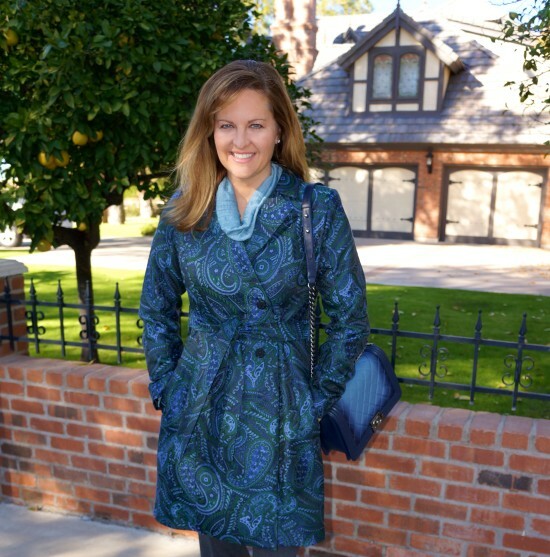 Special thanks to designer Tabitha Sillin of Sillin Inc. for the stunning coat and darling top! Read more about this talented lady.